Passat from the house of Volkswagen has commendably gained name in the mid-sized sedan segment since its very release. Now in the year 2015, company shares the second generation of its Volkswagen Passat Alltrack 2016 wagon. Offering plenty of space, the model is claimed to have exceptional off-road capabilities. 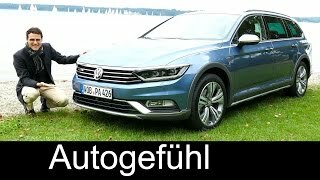 Let us have a look at the review of Volkswagen Passat Alltrack 2016 to know more about it. 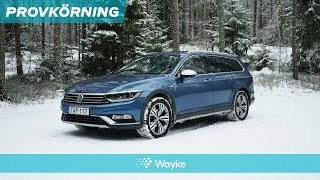 The interior of Volkswagen Passat Alltrack 2016 might recall you the Passat Estate, especially the trim work and the upholstery with some features on dashboard resemble to the sibling. However I personally believe that carrying further, what is good, is no where a bad idea and thus the interior splatters a rich feel. Apart from its luxurious touch, the interior is also about lots of space. Providing occupancy to five people and cargo space of around 22.6 cubic feet the model is good to go. However the cargo space can further be extended to 62.5 cubic feet by folding the rear seats. Moving further the interior details aren’t just about looks and space and it also brings with it numerous tech features like the App-Connect, tablet integration through media connect and Car-Net. 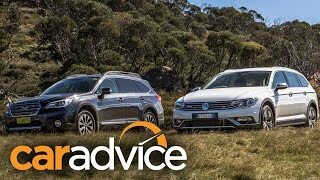 In all rounding up the interior details of Volkswagen Passat Alltrack 2016 I would just say, it’s a gem of architecture and design. Just like the interior, exterior of Volkswagen Passat Alltrack 2016 also holds resemblances with its Estate sibling. Starting with the front fascia, the narrow-shaped LED headlamps sit proudly on either corners of the slim and elongated grille. Beneath this set up is a pair of fog lamps around the massive air vent. The bumpers too get bit of modification with the underbody guards making the off-road ride more pronounced and very well complement the side sills, roof rails and wheel arches. The essence of front marks its presence in the same way at the rear end of the model, making the entire exterior details of Volkswagen Passat Alltrack 2016 look more appealing. The Volkswagen Passat Alltrack 2016 is powered by four drivetrain options. The first one is 2.0 Liter Turbo TSI engine generating total output of 217 hp and peak torque of 350 nm while the second variant of 2.0 Liter TDI brings three options; 148 hp and 340 nm, 187 hp and 400 nm, 237 hp and 500 nm. The 148 hp TDI engine comes paired with the six-speed manual transmission while the rest of the three mate with six-speed DSG automatic transmission. 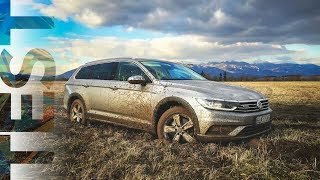 The performance figures of Volkswagen Passat Alltrack 2016 are not yet shared by the company but we assure you to bring them as soon as company unveils the details.